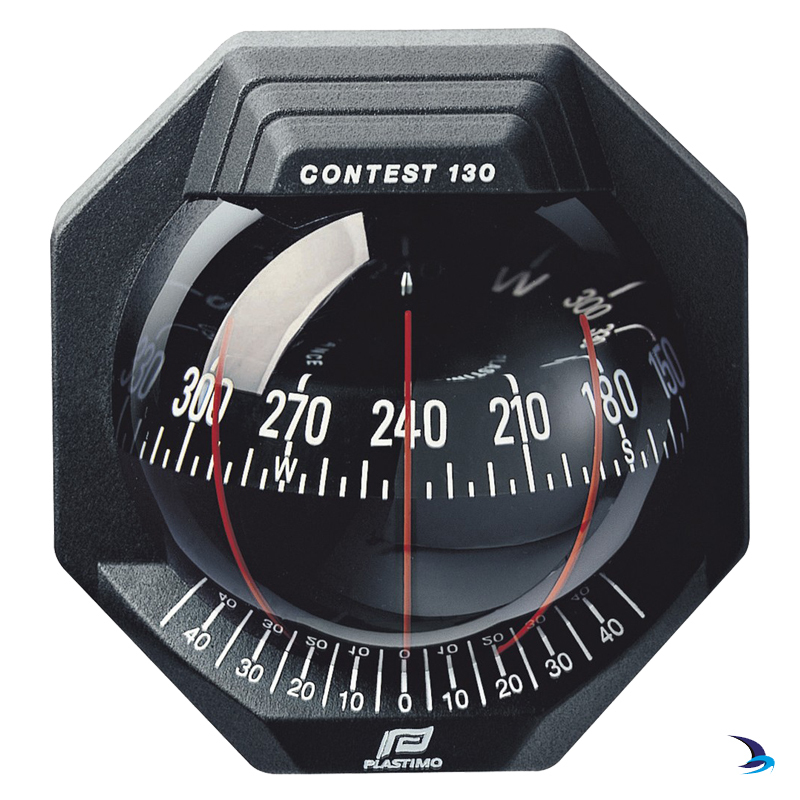 The perfect card stability and exceptional magnification of the Plastimo Contest® 130 Compasses give the user an unparalleled quality of reading, by day or by night. 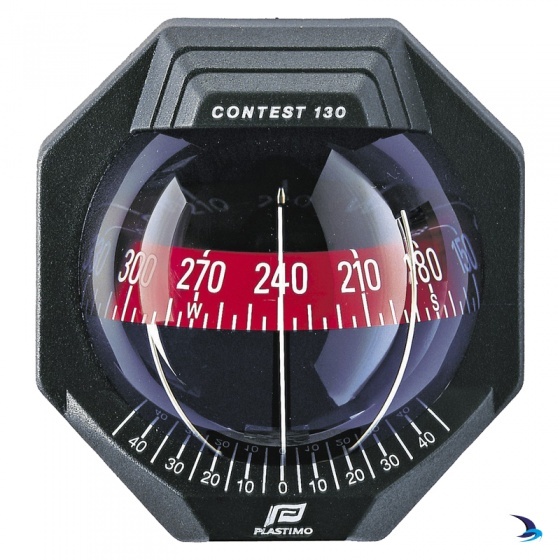 The compass remains perfectly legible at up to 5 meters. 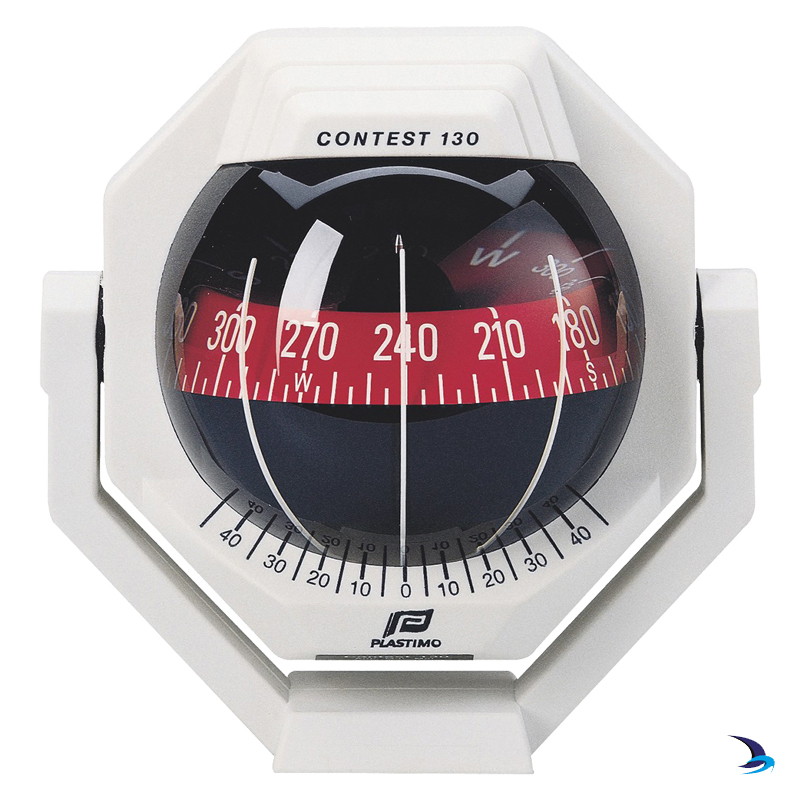 Selected by the Golden Globe Race 2018 entrants, the Contest 130 is the choice of sailors who actually use their compass and rely on it. Bulb is integrated in the front flange, thus spreading the illumination evenly over dome and card, preventing eye strain and fatigue at night. Easy access to the light bulb from the front of the compass. Viton® diaphragm with extreme expansion and retraction capacity: compensated the fluctuations in fluid volume caused by the differences in temperature and atmospheric pressure, thus preventing the formation of bubbles. 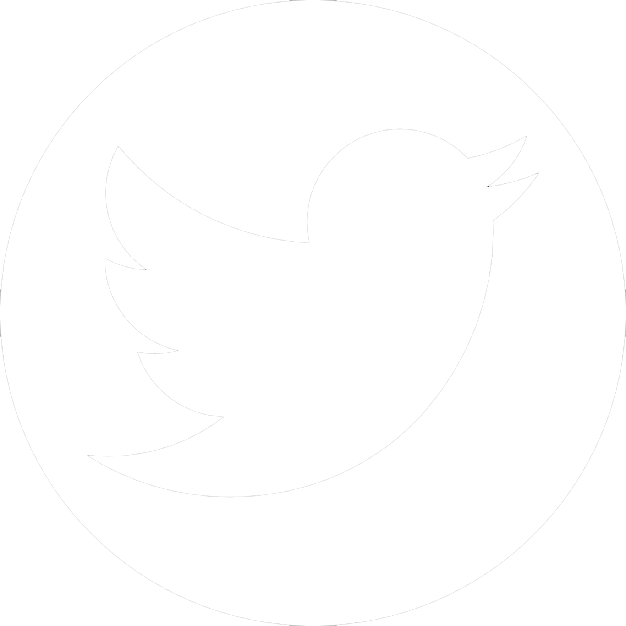 All parts are fully UV-ray treated. From both cockpit and cabin. Thanks to moulded-in sunken head screws. Easy access to compensation box from the front of the compass. Exclusive installation design allows the compass to fit any bulkhead, vertical or inclined up to 25° front tilt. either by screwing from the cockpit side. or by screwing from the cabin side, as an anti-theft security. Bulkhead of standard thickness (up to 40mm): the compass is secured with threaded rods. 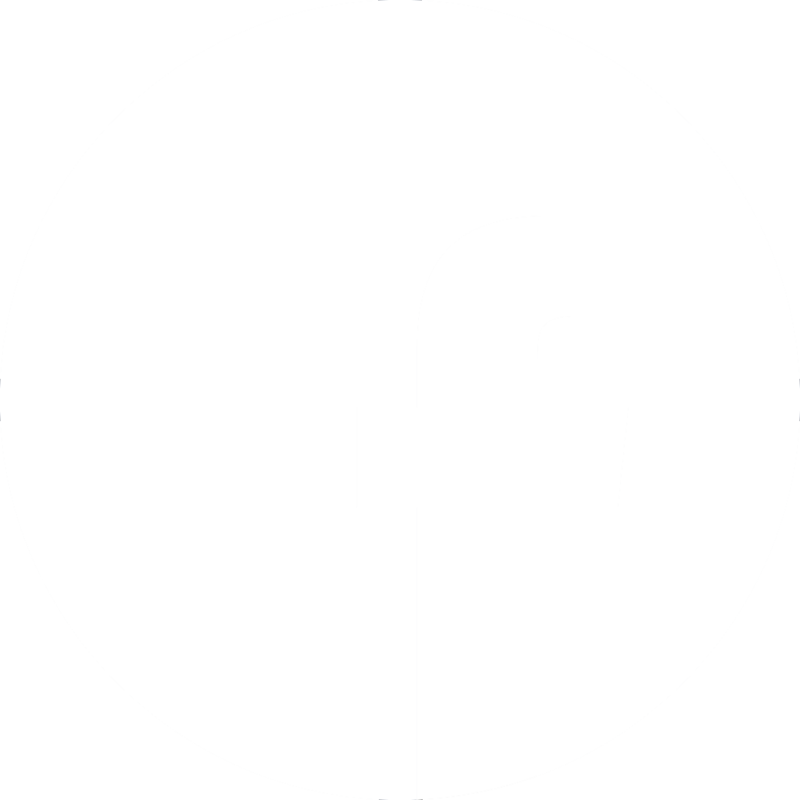 Thick (40mm +) or double bulkhead: the compass is secured with screws on both sides of the bulkhead. Supplied with back flange for neat installation from cabin side. Simply swap them without any new hole and without any tooling - The Contest® 101 has the same mounting footprint as the Contest® 100.